PROGRAMME OUTLINE: Goal Setting with Focus, Energy, and Achievement. 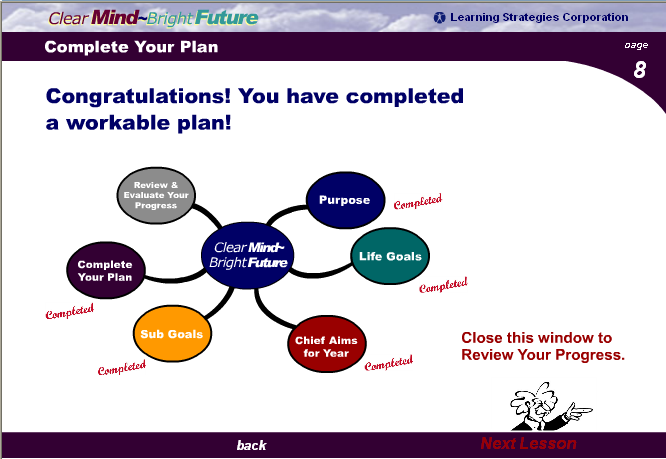 You will identify your top personal and professional goals and have a complete system in place for creating the life you desire. 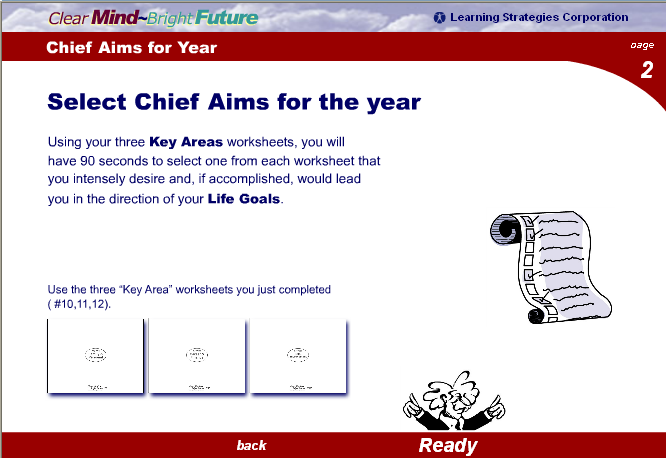 Uses revitalizing exercises, guided visualizations, and brainstorm writing. Based on the ancient 'Master Formula of Attainment,' and updated for today's fast-paced world. Perfect, whether you are an analytical thinker who thrives on details or a more creative, global, open thinker. Brain-friendly to make the process enjoyable and immensely beneficial. For best results, do the six lessons/modules in one session. It will take two to three hours. Be prepared to print a pdf file of worksheets, have a stack of writing paper, or use a note pad on your computer. 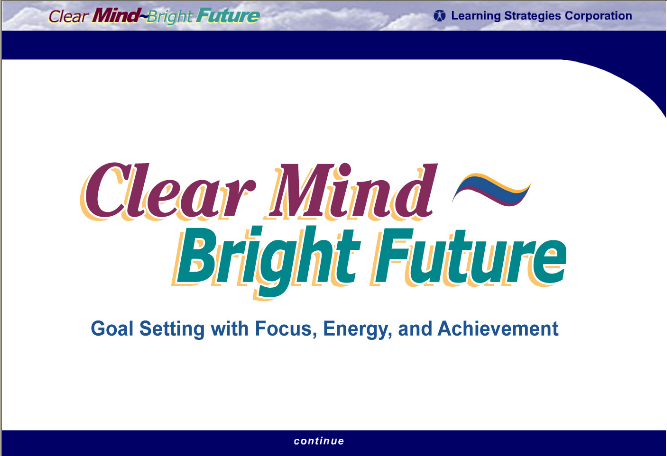 Get ready to clear your mind and create a bright future. Click on module title below when you are ready to do a step.